The fall foliage season in Valle Vigezzo will offer you a special holiday experience with its unique colours, emotions and atmospheres: The golden alpine pastures surrounded by the high peaks covered with snow; and the villages of the valley, warmed by the sun rays of the brief autumn days, where you will enjoy numerous cultural and gourmet events. 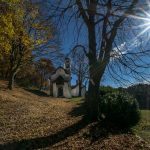 Spend a special day or even your holidays in Valle Vigezzo and enjoy dozens of hiking trails and cycle routes, walking in the nature in search of mushrooms and fruits, mild temperatures, the excellence of the local wine and food tradition. Relax while walking through beech woods and look for the most delicious fruits of the wood, or enjoy the experience of a challenging hike. Take a stroll in the fascinating old town centre of Santa Maria Maggiore, awarded “Bandiera Arancione” by Touring Club Italiano. Discover here all its elegant shops, where you can buy the local products. 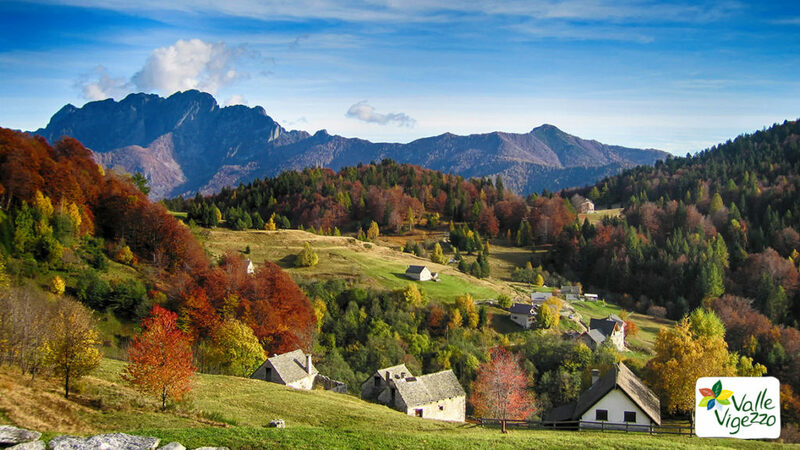 Do not miss all the traditional events of this season: numerous “Castagnate” (chestnut tasting), “Mostra Bovina della Razza Bruna Alpina” (the traditional cow fair) or “Fuori di Zucca”. 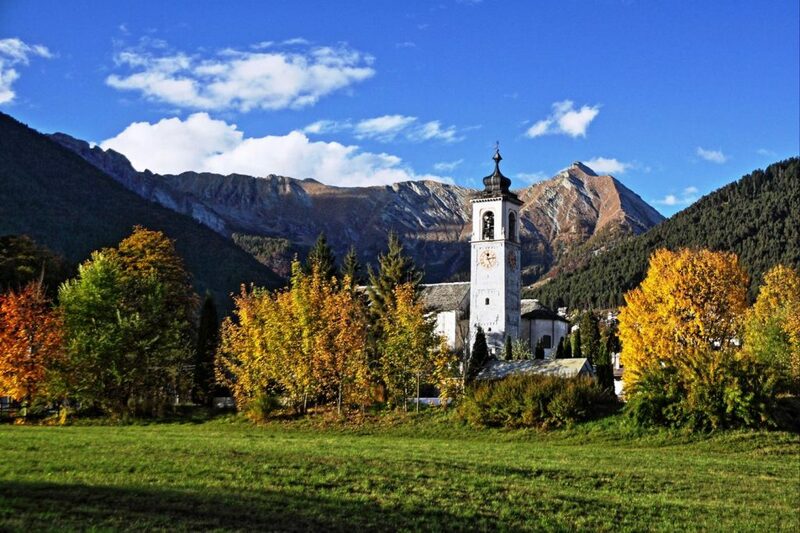 The golden colours of the autumn landscapes of Valle Vigezzo are also painted on the canvases that you can admire at “Scuola di Belle Arti Rossetti Valentini”, the artistic core of Valle Vigezzo. You will be amazed by the beauty of the works displayed here: portraits and landscapes by the greatest artists of Valle Vigezzo. Autumn is the season of mushrooms: penny buns, chanterelles, honey mushrooms and many other varieties can be found in the woods of Valle Vigezzo. 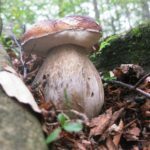 Go hiking into the woods, walk slowly and search carefully among the leaves of the underbrush… mushroom picking is certainly a relaxing experience that ends -when you get home- with the tasting of this delicious food. 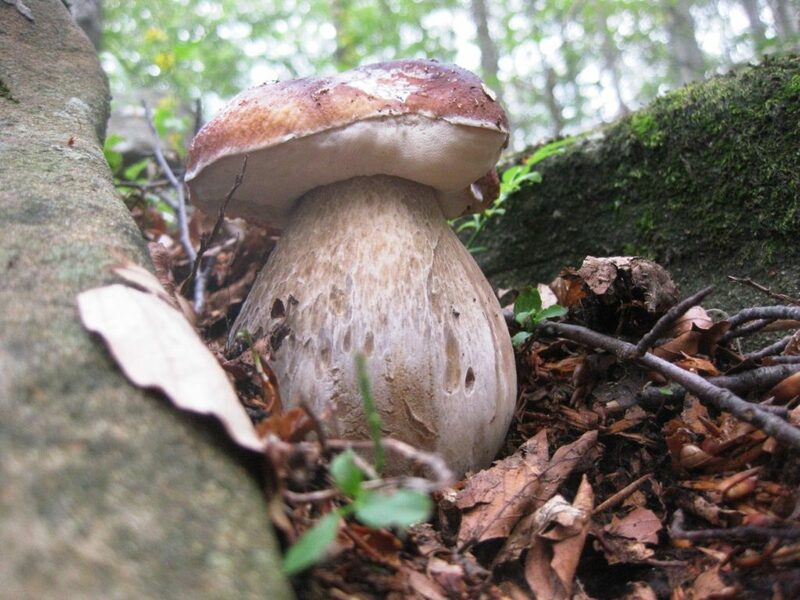 Do not forget that mushroom picking in Valle Vigezzo is regulated by “Unione Montana delle Valli dell’Ossola”. It is allowed upon payment of fees and the issuing of a permit. You can choose among daily, weekly, annual, biennial and triennial permits. 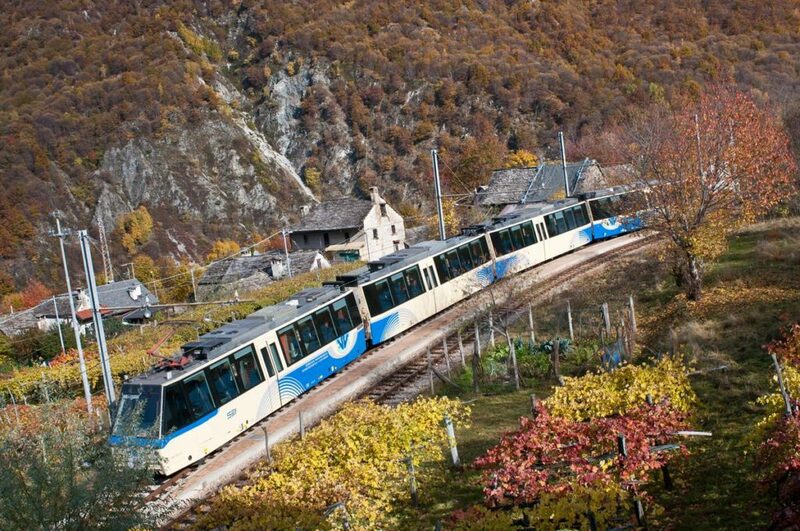 If you want to enjoy a relaxing and leisurely visit to Valle Vigezzo, go on board the Ferrovia Vigezzina-Centovalli train! 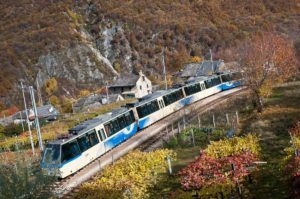 This railway line offers a fascinating journey through golden pastures and ancient villages; the train leaves Domodossola and stops in some picturesque villages of Valle Vigezzo, then through Switzerland to continue towards Locarno and Lake Maggiore. 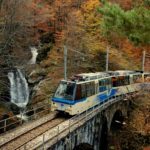 Click on the button on the left and discover the Ferrovia Vigezzina-Centovalli Fall Foliage Train, the tasty alternative to the classic journey! 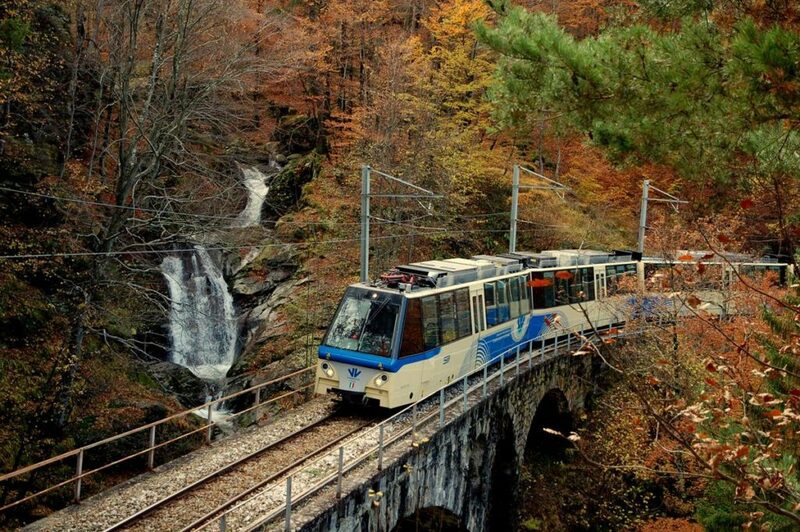 In the fall foliage period the “Valley of Painters” is really enchanting with its colours and its fascinating landscapes. Enjoy here a special and relaxing holiday in our accommodation facilities that propose special offers for the fall season: you can choose among charming stays, guided tours and gourmet dinners. 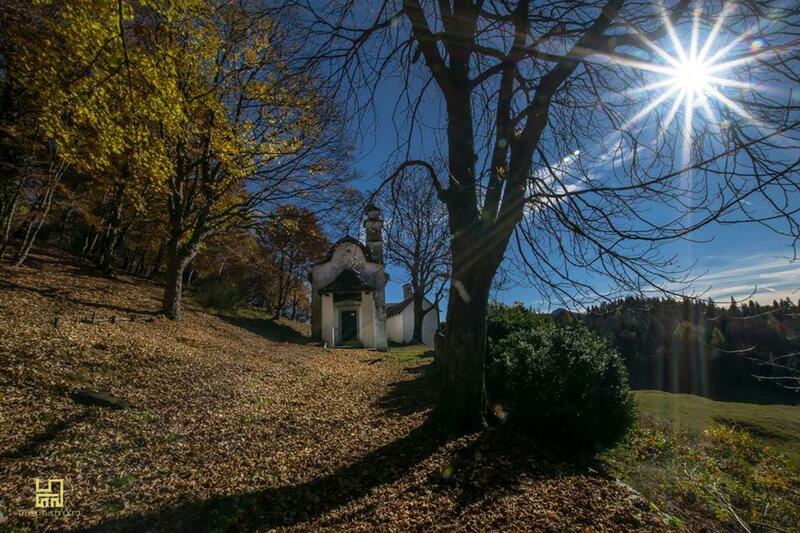 Autumn in Valle Vigezzo is an exciting experience to be enjoyed! We are waiting for you!